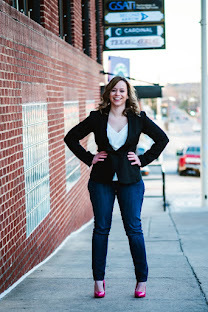 Brylane Home is one of my favorite places to shop when it comes to decor & furnishing's for my home, you've actually probably seen them here at IHeart-Motherhood before! I am so excited to have Brylane Home back in my home for the holiday season, thanks to them, I am checking one large task off of my "decorating to-do list!" At Brylane Home you will find bedding, kitchen appliances, household furniture & so much more! They offer a huge selection & now are helping you transform your home this year with their holiday decor! 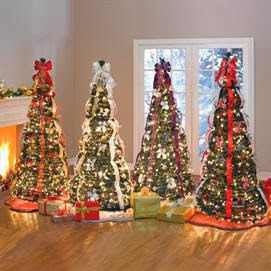 From dazzling outdoor displays to lights, garland & more, they have everything you need to deck the halls! 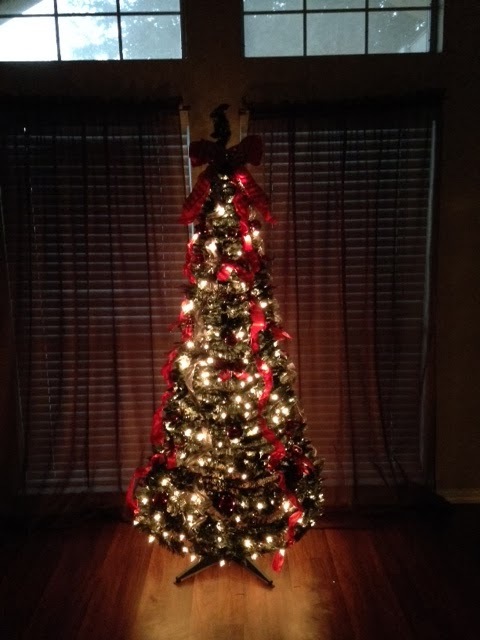 I knew we needed a new Christmas tree this year & Brylane Home had the perfect one for this busy mother of two, the Flat-To-Fabulous full decorated, pre-lit 6ft Christmas tree is a dream come true! It's a beautiful pre-decorated & pre-lit tree, even comes with french ribbons, bows, ornaments & includes 350 twinkling white lights. After the holidays, cleanup is a breeze with the Flat-To-Fabulous tree, it goes down, just as it went up, super easy & no stress involved! It's the perfect size for storing until the next year, a space saver & money saver in one, yay! So are you ready to see how this beauty works? Of course you are! It took me less then five minutes to have our new fully decorated Christmas tree up, there is also a cool video to watch on the Brylane Home website! The Flat-To-Fabulous tree is available in four color options, Silver/Gold, Red/Gold, Silver/Purple & the one I chose, Red/Silver! What do you think about my new tree? I absolutely adore it & so do my children, I just love how it lights up the room! We will soon be adding a few of our own family ornaments to it & of course wrapped presents will shortly follow. So how are you decorating your house this year? Do you have a certain theme or color scheme you go by? Feel free to browse Brylane Home online for all of your Christmas decor needs & for some great gift ideas too! You can purchase the Flat-To-Fabulous fully decorated, pre-lit 6ft Christmas tree at Brylane Home for only $89.99-it's currently on sale! 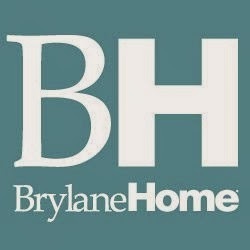 Stay connected with Brylane Home by liking them on Facebook & following them on Twitter as well! This tree from Brylane Home is remarkable! I really like it and it looks so easy to put together! I think it is a good price, and this site has so many great deals. Oh my goodness, the set up looks so easy! It's beautiful! Thanks for posting this, I've never heard of Brylane Home. Can't wait to check them out. Most amazing invention for Christmas! Beautiful tree! I'm gonna have to check out this store!